I t's a strange train that passengers are not allowed to disembark from when at the end of the line, but the Napa Valley Wine Train is a big hit with visitors who don't mind paying $50 and up for round-trip tickets. People who must question everything sometimes ask, "Where is Sonoma County's wine train?" Folks, I've found it. It's got great wine, romance, and it's easy to flip this train because it never leaves the station. Billed as "West County's smallest tasting room," the redecorated Southern Pacific Rail caboose at Sebastopol's Gravenstein Station is operated by a couple of young globe-trotting harvest hoboes who caught wine fever like an express train and held on tight. Dylan and Tobe Sheldon worked in New Zealand together, got hitched right after harvest and studied Rhone wines in Gigondas. Back home, they sold their cars to make their first bare-bones vintage. For want of a crusher, they stomped grapes by foot, and slept on the floor of an empty winery. Little wonder their motto is "Alive, awake, free . . . most likely delusional." Of course, they have day jobs—actually, night jobs—in the restaurant business. The 2004 Ripken Vineyard Petite Sirah ($32) must have a high v'locity rate, because only a few cases remain of this toothsome black cherry-scented bevvie. Peckish folks can find the dining car right across the platform at the Starlight Wine Bar; sleepy folks can get jazzed at Coffee Catz. Sheldon is on a remote spur of the Russian River Wine Road, but they'll be included in this year's Winter Wineland, Jan. 19–20. This little caboose runs on good luck and good vibes, making it a great place to start off a New Year of sipping and swirling. 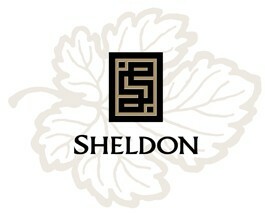 Sheldon Wines, 6761 Sebastopol Ave. #500, Sebastopol. Open Thursday–Sunday, noon to 4pm. Tastings, free. 707.829.8100. To learn more about the 16th annual Winter Wineland, go to www.wineroad.com.